We at Sayco Flooring, LLC. 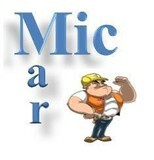 are experienced with all types of material. Pride in craftsmanship is evident from the finished product, as well as every stage along the way. ProSource of Tempe proudly serves trade professional members offering a superior flooring and kitchen product selection, guaranteed lowest wholesale prices, kitchen and bath design expertise, along with the utmost customer care. Together, our showroom team holds more than 100 years of residential and commercial project experience. That means you'll get exceptional service at every point of your project. 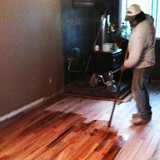 At Atocwood, we understand that a great flooring job requires quality in materials and workmanship. That's why we provide both. As a local flooring contractor in Phoenix, AZ, we're known for offering great service on every job. When you choose us to install your new floors, you can count on prompt project completion. R&R flooring has been in business since 2010 and is growing rapidly. We are licensed, bonded and insured and are passionate about every installation, we look forward to transforming your house into a home. Quarries Direct International LLC., known as QDIstone is in the business of supplying vast variety of high quality natural stone materials at very affordable pricing to the US market. QDI is proud to announce we just extended our product line to include a wide range of beautiful porcelain products under our new brand QDIsurfaces. 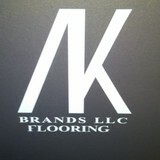 A full service floor contractor and company offering all flooring products and installation services. We are a family owned and operated business. We have built our business through the past 12 years working very closely with our clients and overseeing every project as if it were our own.